Product prices and availability are accurate as of 2019-01-13 10:51:54 EST and are subject to change. Any price and availability information displayed on http://www.amazon.com/ at the time of purchase will apply to the purchase of this product. 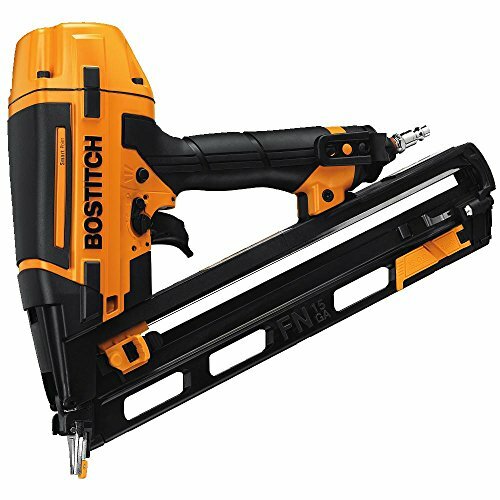 The BOSTITCH U/BTFP72156 Smart Point 15 gauge "FN" Style Angle Finish Nailer is a factory reconditioned tool. 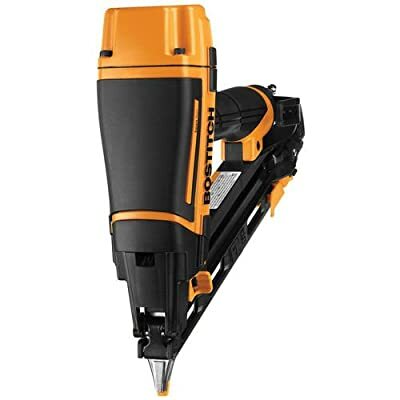 This Finish Nailer features Smart Point Technology: easy nail placement as a result of a smaller nose compared to current BOSTITCH nailers and no need to compress the contact trip to actuate the tool. This unit drives 15GA "FN" style angle finish nails from 1-1/4" to 2-1/2" length. An integrated air blower allows to clear away debris from work surface. It offers tool-free jam release mechanism for easy nail removal, and Dial-A-Depth control for precise countersinking of nails. 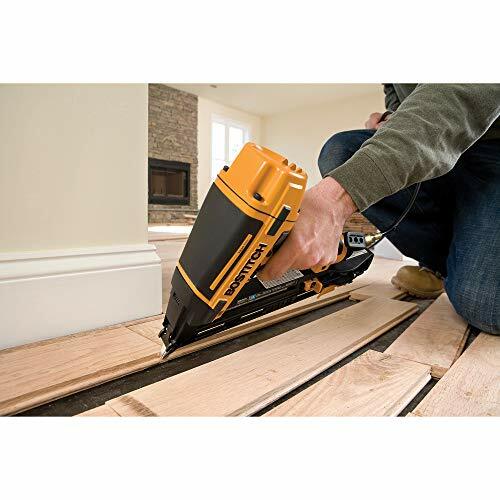 This nailer has a 16" on-center gauge flips out to measure exactly 16" from end to nose for installing wall trim, along with a selectable trigger system for sequential or contact operation. This is a factory reconditioned tool. Reconditioned generally means that the tool has been returned to the manufacturer, who brings the tool back to like new condition. Some tools may contain cosmetic blemishes.